HockeyApp provides the capabilities to streamline our mobile app development, deployment and diagnostic process. In one of my previous post we talked about Uploading Windows Universal Apps Build to HockeyApp directly from Visual Studio . We have seen how the HockeyApp streamlined the overall app deployment process and we can use it as an internal store for managing the apps. 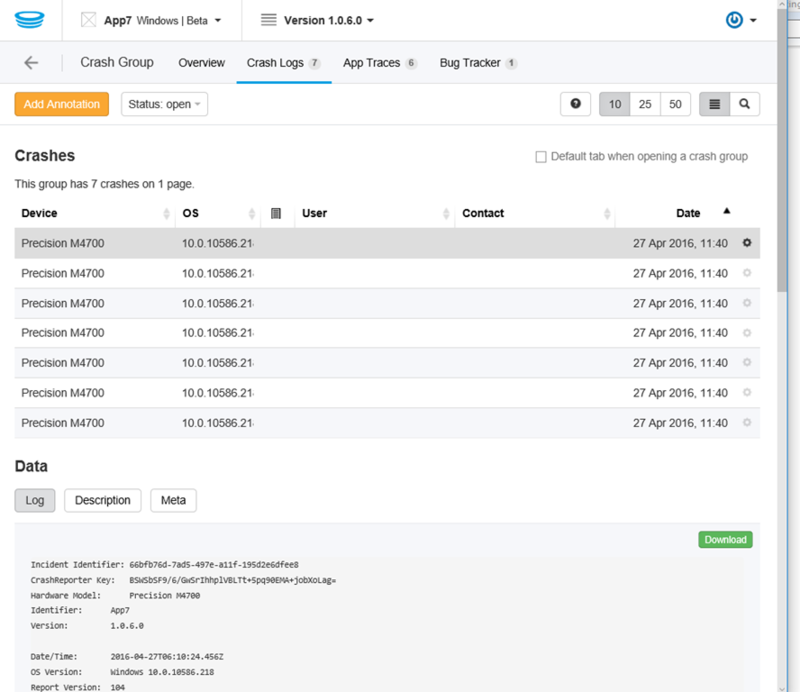 Let’s have a look how we can start integrating the HockeyApp SDK for Universal Windows App and start reporting crashes directly and identify the issues faster. First of all , include the HockySDK.UWP nuget Packages. Open the nugget Package Manger and Search for the “HockeyApp.SDK” package, ensure you checked “include prerelease” version. Once found, install it. This will include HockySDK.UWP nuget as reference to your app. Now you can initialize the HockeyApp Client for your app and control what kind of data you want to collect from it. The Configuration() method accepts the App ID which can be found in the HockeyApp dashboard. Open the Dashboard and select the App details page to get the App ID. Specify the App ID in the Configuration() method. For now, that should be fine to go ahead. From the App dashboard, you can navigate to specific version of the App, and then view respective crashes and Logs for the same. The information displayed in HockeyApp dashboard is self explanatory, and you can easily navigate to the details of each line items.